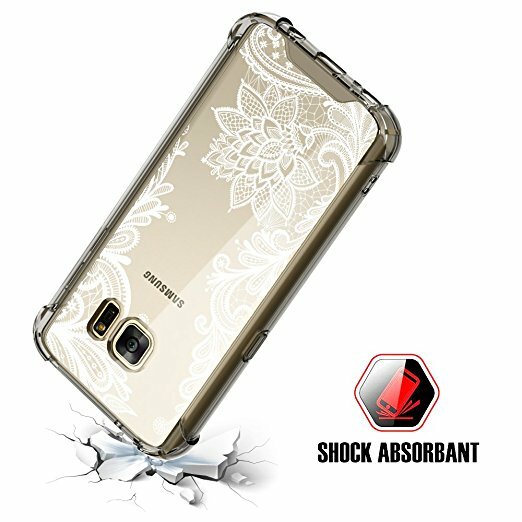 So you’ve just bought a new Samsung galaxy S7, and you want to protect your phone without covering its charm and the sleek beautiful design? Don’t worry we’ve got you covered. 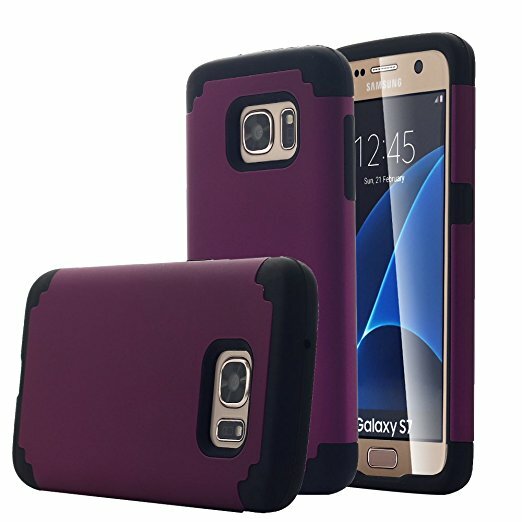 Listed below is a list of some amazing cases that we think will suit your Galaxy S7. 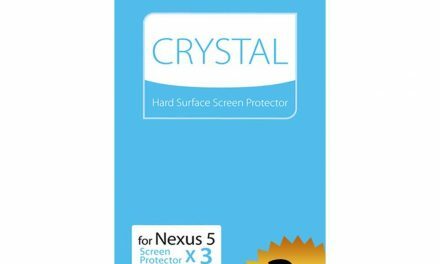 Spigen is also a big name when it comes to protective cases. 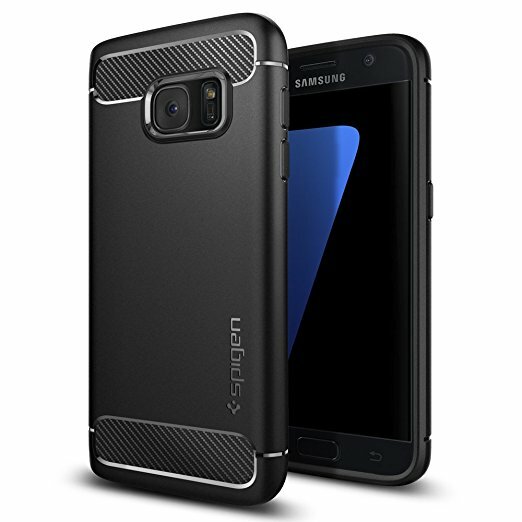 And with Tough Armor, Spigen is taking no risks to it’s renowned reputation. 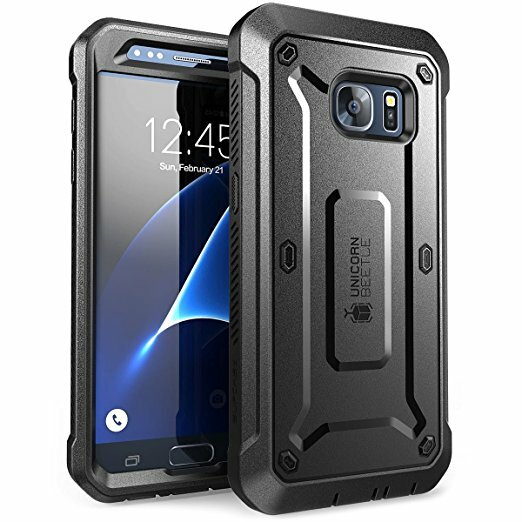 The Tough Armor is made up of shock absorbing TPU and strong Poly-carbonate which provides your phone with ultimate protection against drops and scratches. The 2 in 1 construction design also wraps around the camera & raises just above the screen to keep it safe from drops. If you’re more of a person who prefers to keep their phone classic, Caseology Envoy Series is the one for you. 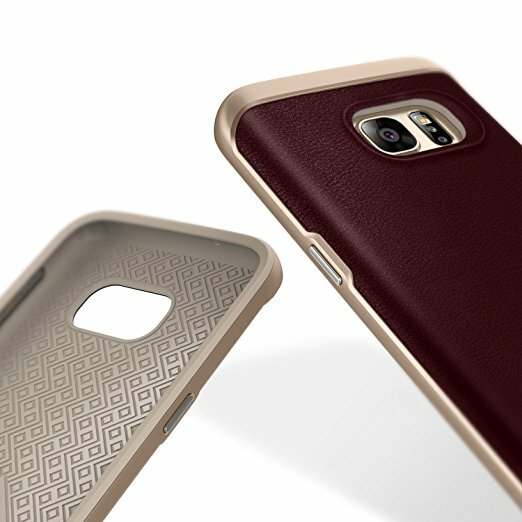 It’s a perfect blend between protection and feel. 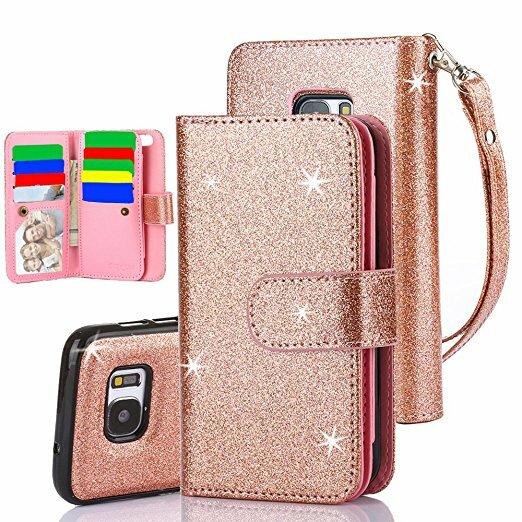 The case features high quality leather and shock absorbing TPU to protect your phone in the most classiest way possible. 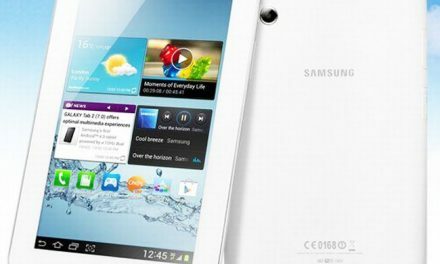 The leather coating provides an excellent grip and feel which prevents against accidental drops. 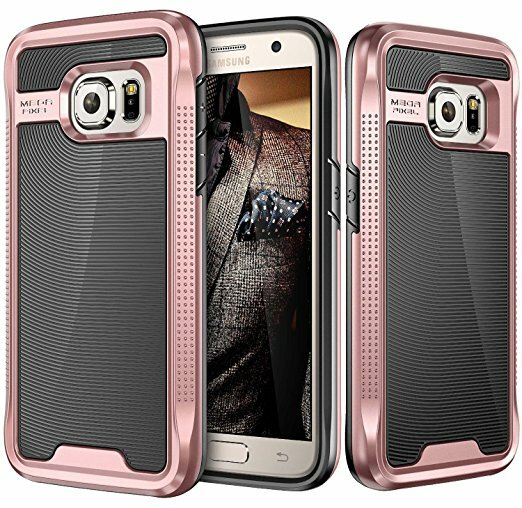 This is definitely the case to buy if you want your phone to look classy while cased in a durable cover. Buy the case now at the price of Out of stock. 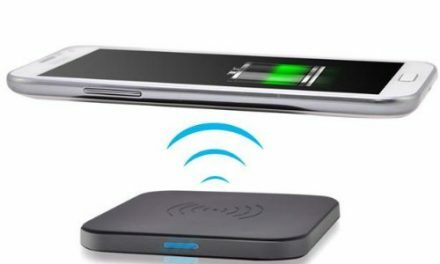 The TabPow is unlike the cases mentioned above since it focuses more on accessibility than protection or design in that matter. 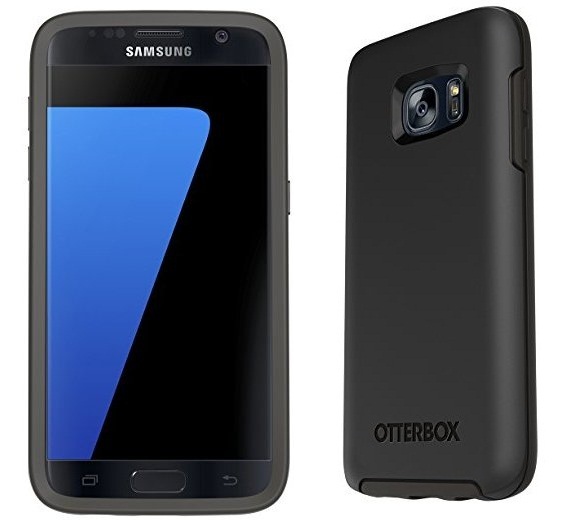 The TabPow is wallet-like case for the Galaxy S7. But it’s not an ordinary wallet case, it’s one of the best wallet cases on market today it features 10 slots including an ID and a picture slot, you can store your ATM cards, money, business cards and much more. This is truly one “on the go” identity case. 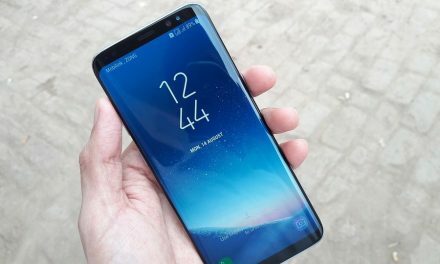 And what’s better than carrying a phone and a wallet? 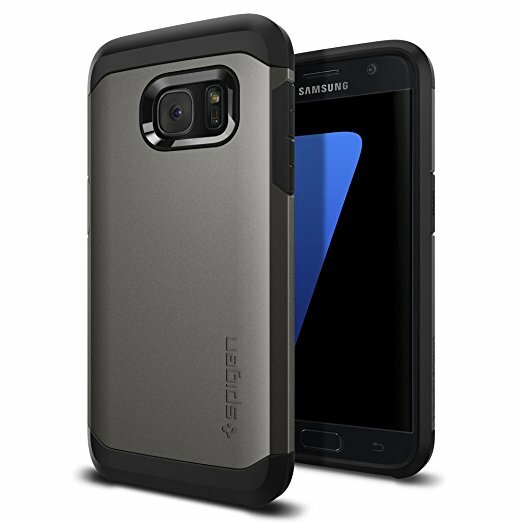 A TabPow case for your Samsung Galaxy S7. TabPow comes in 11 different stunning colors. Get this item now at the price of $10.98 and save up to 82%.